To be part of a football crowd is to experience a whole range of soundtracks. At the San Siro for the Derby della Madonnina, the prevailing atmosphere is a whirling, roiling, smoking waul. Around White Hart Lane on a typical Saturday afternoon, by contrast, it tends to be the surly rumble fermented where cynicism meets demand. 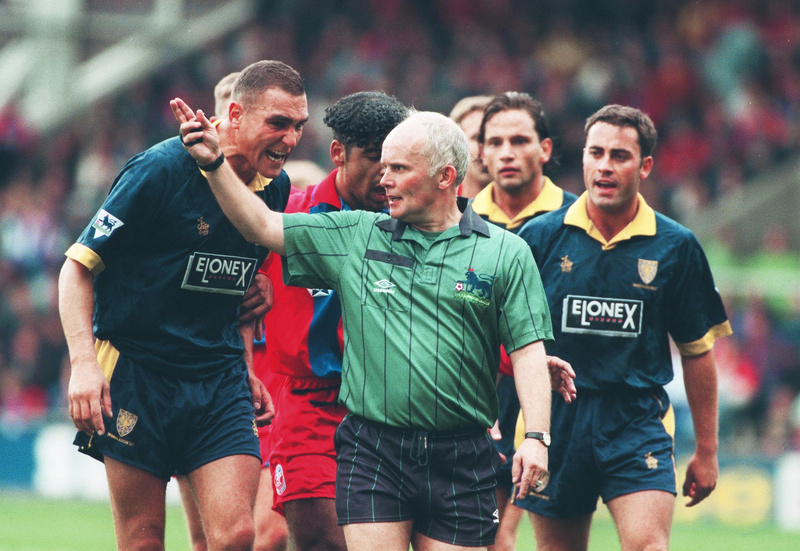 In the Holmesdale Road End at Selhurst Park at around a quarter to five on May 6, 2000, it was noise – a terrible, mind-mangling roar. For Wimbledon, tenants of Crystal Palace from 1991 until they were unceremoniously carted off to Buckinghamshire 11 years later, facing up to life after Joe Kinnear had always threatened to be difficult. Kinnear may have been reduced by his recent exploits in the north-east to an anachronistic figure of fun, but back in the 1990s, he was a feisty fit for an agricultural team. Over the course of his seven years in charge of the Dons, a club which hadn’t played in the professional leagues until 1977 was never seriously threatened by relegation from the top flight. Granted, they had sunk like a stone the previous season, picking up just two draws in their last 11 matches, but even that run, precipitated after Kinnear suffered a heart attack on the day they beat Sheffield Wednesday in March, only left them 16th, and a comfortable six points clear of the drop. Their style may have won them few friends, but this was a unit, it seemed, that was hard-wired to survive. Kinnear’s health problems forced him to step down in June 1999 and prompted concerns about a culture shock, but with ambitious Norwegian owners Bjørn Rune Gjelsten and Kjell Inge Røkke having taken over the club two years previously, there was at least an obvious choice to replace him. Egil Olsen had taken a previously slumbering Norway to USA 94 after topping their qualifying group, a 2-1 home win over the Netherlands and a 2-0 victory against England the particular highlights. His rugged brand of success (reportedly, his favourite player at his new club was Ben Thatcher) seemed to make him the ideal man for the Dons, while at his introductory press conference after joining from Vålerenga, he commented that he would only have left Norway for Wimbledon or Brazil. The uncompromising style that he had brought to the national team suggested that if he really meant either of them, it was most likely the former. Sure enough, the opening day of the season brought promise, with a 3-2 win at Watford that reunited Olsen with Graham Taylor, the man he had seen off as England boss. But it was a false dawn. Victory at Vicarage Road would prove their only win on the road all campaign, while a run of five points in nine games culminated with a 5-1 shellacking at Hillsborough against a Sheffield Wednesday side that themselves had lost five in a row in the run-up, conceding 15 goals (including eight to Newcastle) while scoring none. The defeat left the Dons in the relegation zone for the first time. Initially that looked like being the wake-up call the team needed. The next game, a 3-2 win over Bradford on 16 October, saw them climb back to 15th spot, and they would lose only once more before Christmas, going down 2-1 to Leicester despite taking the lead through an expertly-struck volley from Marcus Gayle. But if the coming of the New Year brought a sense of foreboding to Wimbledon fans in light of the collapse of the previous campaign, this season they would excel themselves even by those standards. Thirteenth after beating Newcastle at home on 22 January, they suddenly started to ship goals again, three to Everton and Chelsea, four to Derby, before embarking on an eight-game losing streak, with the 3-0 defeat at Valley Parade that topped it off thrusting them back into the bottom three for the first time since they had last met Bradford, six months earlier. That game, which would prove to be Olsen’s last, could easily have been so different. Wimbledon took control early on but couldn’t find the opening goal, and then either side of half-time came a pair of refereeing controversies. First, a handball that wasn’t from Thatcher gave Bradford a penalty that Peter Beagrie converted, and then another that was, from the hosts’ Wayne Jacobs, went unnoticed and started an attack from which a speculative Beagrie effort somehow squirmed past Neil Sullivan. John Hartson was sent off for arguing with referee Jeff Winter in the aftermath of that goal, and despite the 10-man Dons continuing to look the better side, an 83rd-minute Dean Windass effort wrapped up victory. Suddenly Bradford, a team that had looked dead and buried at five points adrift with four games to go, had safety in sight. For Wimbledon, meanwhile, defeat meant Terry Burton, who had been part of the backroom staff since 1988, coming in as manager for the last two games, and with a one-point deficit to the Bantams to make up. Burton’s first match in charge, that game on 6 May was at home to Aston Villa. The atmosphere had already begun to crackle when, 15 minutes in, his side took advantage of the luck that had deserted them the previous week, Ugo Ehiogu nodding a Michael Hughes cross into his own net. 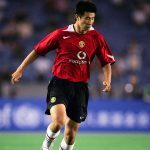 Villa, however, chasing fifth place and with an FA Cup final appearance to come, came straight back into the game, and second-half goals from Lee Hendrie and Dion Dublin put them 2-1 up with a quarter of an hour remaining. From that position, John Hartson’s injury-time equaliser had all the hallmarks of a fairy tale – a last-gasp header from the club’s record signing, in front of his own fans, in his second game back after a knee injury which had kept him out since the previous December. Meanwhile, Bradford had done their part, losing 3-0 at Filbert Street to a Leicester side that was finishing the season in style, and back in south London, a stadium heaved. Wimbledon were back out of the relegation zone. The two teams were level on points, but Bradford’s goal difference was worse by five, and they would have to face Champions League-chasing Liverpool on the last day of the season, while Wimbledon travelled to the south coast to face a Southampton side that had already switched off. Perhaps, then, there was an element of complacency, an assumption that Bradford would lose and that the Dons’ part would be irrelevant. If so, it lasted 12 minutes into the final round of fixtures, before the Bantams’ Gunnar Halle, a key part of the Norwegian national team that Olsen had led to America all those years before, floated in a cross that David Wetherall headed past Sander Westerveld. Bradford hung on as Liverpool hunted an equaliser, while down at The Dell, Wimbledon pushed forward in vain. The absences of captain Kenny Cunningham and playmaker Michael Hughes, both injured against Villa, hit them hard, as did Hartson being suspended, but at 0-0 at half-time, they were far from down. Yet the clock ticked on. At Valley Parade, Halle cleared off the line and Bradford keeper Matt Clarke denied Patrik Berger, Michael Owen and Emile Heskey; and then with an hour gone, teenage Southampton full-back Wayne Bridge crashed a free-kick in off the bar. Suddenly needing two games to swing, the stunned Dons had nothing left, and Marian Pahars finished them off in the closing minutes. It had all been for nothing, the cathartic dismissal of the eccentric outsider, the appointment of the beloved club servant, that glorious finale at Selhurst. After 14 straight seasons, the Premier League days were over. Would the controversial move to Milton Keynes, ratified two years later, have been avoided if Wimbledon had stayed up? In truth, probably not. The team’s attendances had been low for years, and a succession of owners had resigned themselves to the need to relocate. Dublin had been mooted under Sam Hammam, and had even received Premier League approval before being blocked by the Irish FA; Milton Keynes itself had been mentioned before, under the late-70s stewardship of Ron Noades. 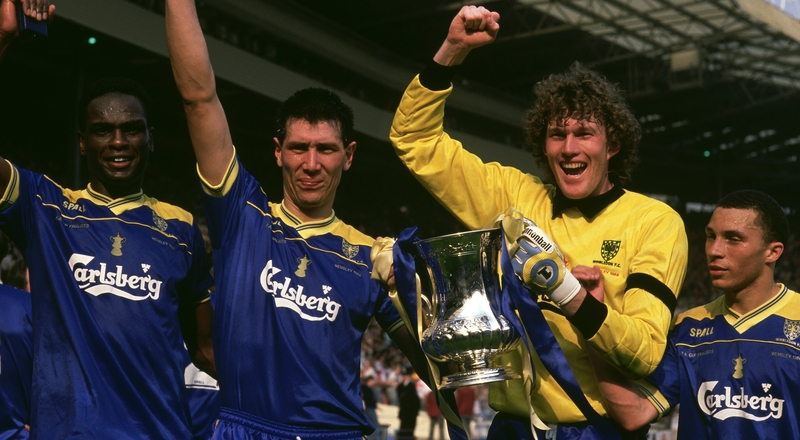 So now, 17 years later, AFC Wimbledon flies the flag for supporter-owned clubs. The fans still sing of the “Norwegian bastards” but would probably accept, if pushed, that both the relegation and relocation of their former incarnation were, at some point, inevitable. Nowadays, their budget, their ethos and indeed their crowd numbers mean that they are unlikely to see the top flight again; and they are at peace with that. But in that moment in May 2000, as Hartson’s header hit the net, a great many of those same fans were letting it all out, and daring to dream about one more, just one more season in the sun.